This is your daily reminder that "kid's menu" means "a menu for children," and certainly not "children are on the menu." A fancy wedding accidentally made that less-than-fancy mistake on RSVP invitations they sent out. 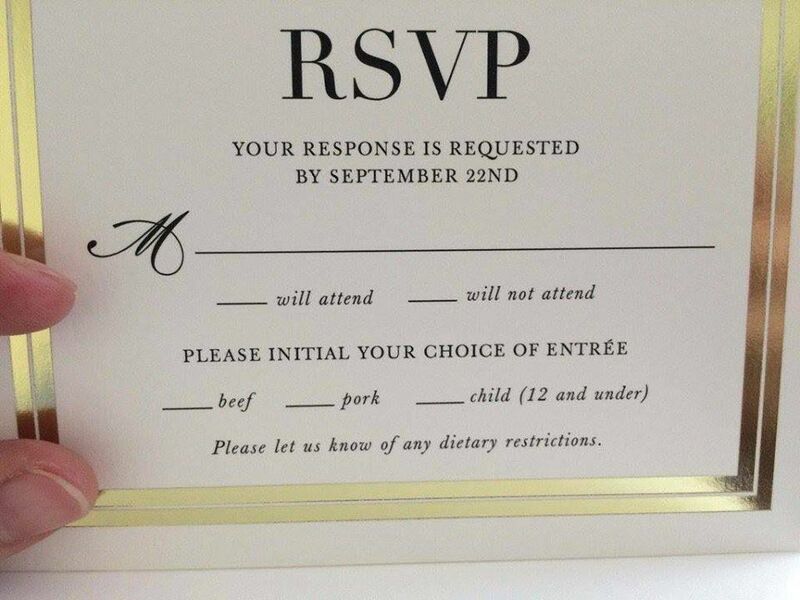 In a photo uploaded to Reddit's r/funny, the RSVP card asks you, sir or madam, for your name, whether you'll be attending, and whether you'd like to eat beef, pork or young children (12 and under) for the entrée. Just check off your favorite dish, and let them know about any dietary restrictions. They're free range, completely organic and just a bit whiny. To give the organizers the benefit of the doubt and assume they're not cannibals, this modest proposal was likely a poor design choice. The option to select whether your child is attending needed to go somewhere, and there happened to be space just under "choice of entrée" and right next to "pork." Still, you wouldn't be faulted for having second thoughts about bringing your son or daughter along. Otherwise, just hope that all the other guests are opposed to eating children, either for moral or dietary reasons.